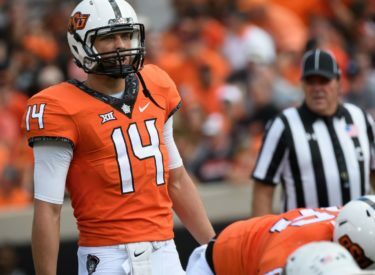 STILLWATER, OK (AP) – Oklahoma State coach Mike Gundy considers starting quarterback Taylor Cornelius something a dinosaur. Cornelius is 22 and one of the older quarterbacks in the Big 12. He waited and is finally the starter as a fifth-year senior. Four of the starting quarterbacks in the Big 12 in Week One started their college careers at other Power Five schools: West Virginia’s Will Grier, Iowa State’s Kyle Kempt, Kansas senior Peyton Bender and Oklahoma’s Kyler Murray.